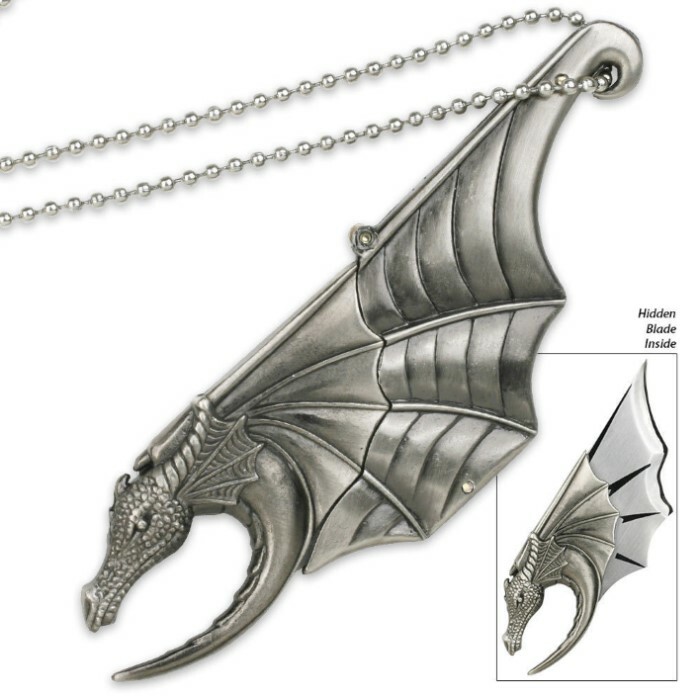 This cast metal winged dragon knife necklace offers a clever blade tucked into the wing sheath. The dragon"s head is pulled away to reveal a stainless steel 1 1/2" curved blade with two finger under grips and a top thumb plate to grasp the blade. This distinctive knife necklace measures 4 1/2" x 1 1/2" and includes a 30" bead chain.